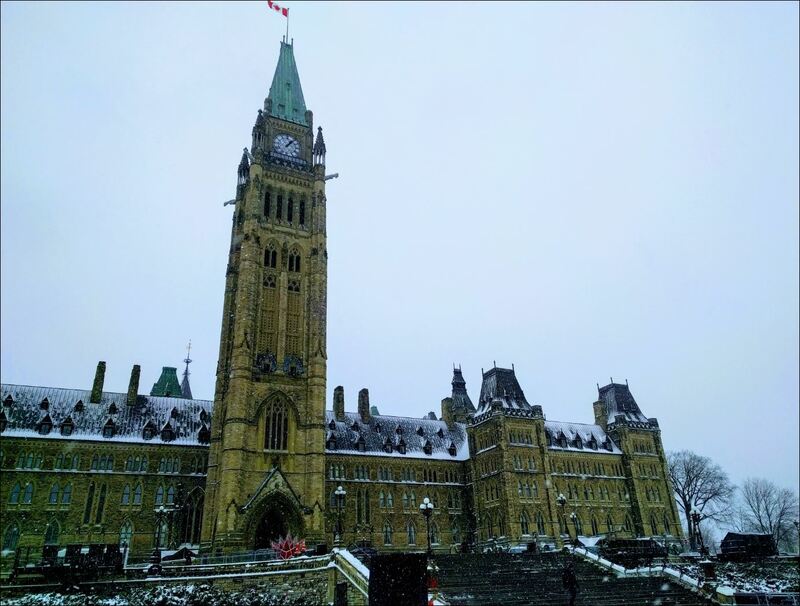 Deputy Dean and Associate Professor Lorne Neudorf appeared as an expert witness on 7 December before the Parliament of Canada’s Standing Joint Committee for the Scrutiny of Regulations at Parliament Hill in Ottawa, Canada. In his opening statement before Senators and MPs, Associate Professor Neudorf highlighted the importance of legislative oversight of delegated lawmaking powers to the rule of law, and encouraged the Committee to strengthen its scrutiny process. He offered a number of recommendations to the Committee to promote greater transparency and accountability, including expanding the Committee’s mandate to examine new bills that delegate lawmaking powers and increasing the use of the Committee’s powers to report to Parliament, call witnesses and recommend the revocation of regulations. He also discussed optimising the Committee’s work and making it more effective by creating a sub-committee to examine technical and legal questions, while expanding the scope of the main Committee’s review to include the policy implications of regulations. During his testimony, Associate Professor Neudorf introduced his comparative research, which is funded by the Social Sciences and Humanities Research Council of Canada, that examines the parliamentary scrutiny of regulations in Canada, Australia, New Zealand and the United Kingdom. For more than an hour following his opening statement, Committee members asked Associate Professor Neudorf a number of questions related to his recommendations and ongoing research. In their questioning, members referred to and discussed Associate Professor Neudorf’s article, “Rule by Regulation: Revitalizing Parliament’s Supervisory Role in the Making of Subordinate Legislation“, which had been circulated by the Committee Chair to members in advance of the meeting. “Appearing before the Committee was a tremendous opportunity to introduce my research on the parliamentary scrutiny of regulations. From this experience, it is clear that the Committee takes its role seriously. Given some challenges in the past, the Committee is keen to improve its processes in order to provide more effective oversight of the executive branch,” said Associate Professor Neudorf. Associate Professor Neudorf was invited to return to the Committee to share his comparative observations following his future site visits to the Parliaments of Australia, New Zealand and the United Kingdom. During his visit to Ottawa, Associate Professor was also a Visiting Scholar at the University of Ottawa, Faculty of Law. Dr Lorne Neudorf, Deputy Dean and Associate Professor, Adelaide Law School, The University of Adelaide, lorne.neudorf@adelaide.edu.au. This entry was posted in Events, News and tagged Associate Professor Lorne Neudorf, Canada. Bookmark the permalink.